Rainbow Riots || Rainbow Riots is a politically and religiously independent, non-profit organisation advocating for human rights for LGBTQ people | New video teaser! 27 Mar New video teaser! Love who you are, love who you want, love is equal, LOVE IS LOVE! 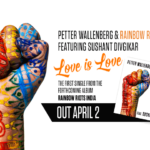 Swedish musician Petter Wallenberg, founder of Rainbow Riots, teamed up with India’s first openly gay celebrity and drag queen Sushant Divgikar AKA Rani Ku-He-Nur and created India’s first Pride anthem ”Love is Love”! 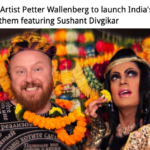 Here is a sneak preview of the video which is directed by Wallenberg and also features India’s first transgender dance group Dancing Queens! 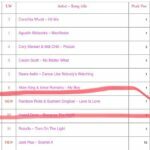 Released worldwide by Rainbow Riots on April 2nd!